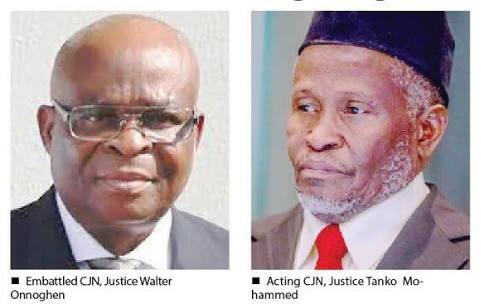 The National Judicial Council (NJC) rose from its emergency meeting on Tuesday with a decision to allow suspended Chief Justice of Nigeria (CJN) and the acting CJN, Justices Walter Onnoghen and Ibrahim Tanko Muhammad seven days to respond to petitions pending against them. The petition against Muhammad relates to his alleged misconduct in allowing himself to be sworn-in in manner that breach existing law and tradition. The NJC also Elected to refer the petition against the CCT Chairman, Danladi Yakubu Umar to the Federal Judicial Service Commission (FJSC). 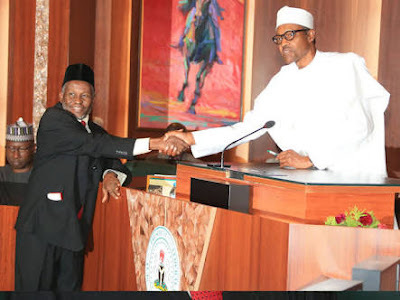 NJC adjourned to reconvene on February, for appropriate action.